A tale of two boas. Thread: A tale of two boas. 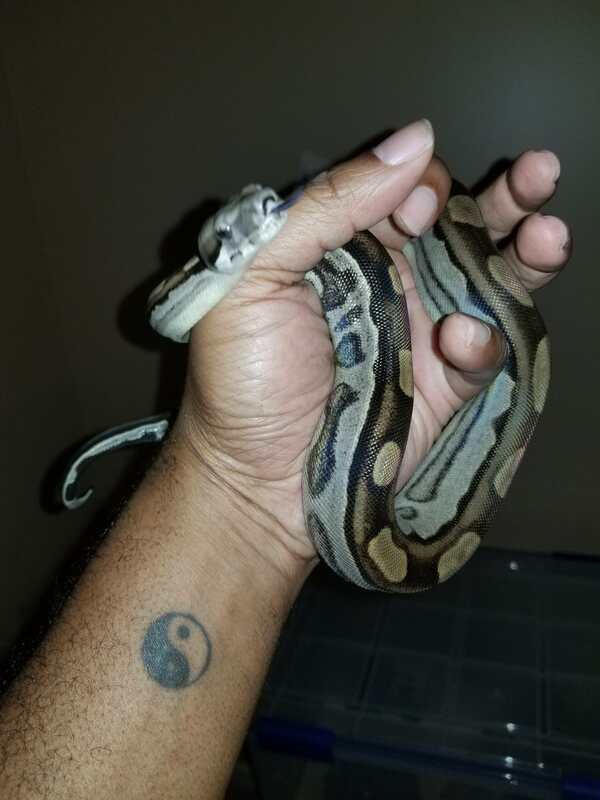 Monty (BCI) has never hissed or struck at me, has eaten f/t twice, and is an absolute joy to handle. Ms. Xena on the other hand is going to require a bit more work and patience. She refused her 1st f/t meal and prefers to be left alone. Re: A tale of two boas. Look at the bright side, much easier dental check-ups on the little hisser. Last edited by Bogertophis; 08-20-2018 at 12:48 PM. Wow that’s an intimidating little face !! is she striking or just hissing and flashing the fangs ?? Keep working with both of them. I love how the Argies start out feisty. They normally come around pretty fast. She struck a couple of times inside her enclosure but not once after she was out. I put her back as soon as she calmed down. When she did strike it really wasn't even a bite. It was more of an open mouthed headbutt. It's kinda funny I was actually hoping to get a snake with a little attitude. All of my critters are pretty docile so I was open to a more challenging experience. That's also a reason I prefer to buy younger snakes, so we can grow together and develop trust. Nice, got to love those open mouthed head butts! LOL. Me, I'd rather attitude from something that isn't going to be 8-10FT! 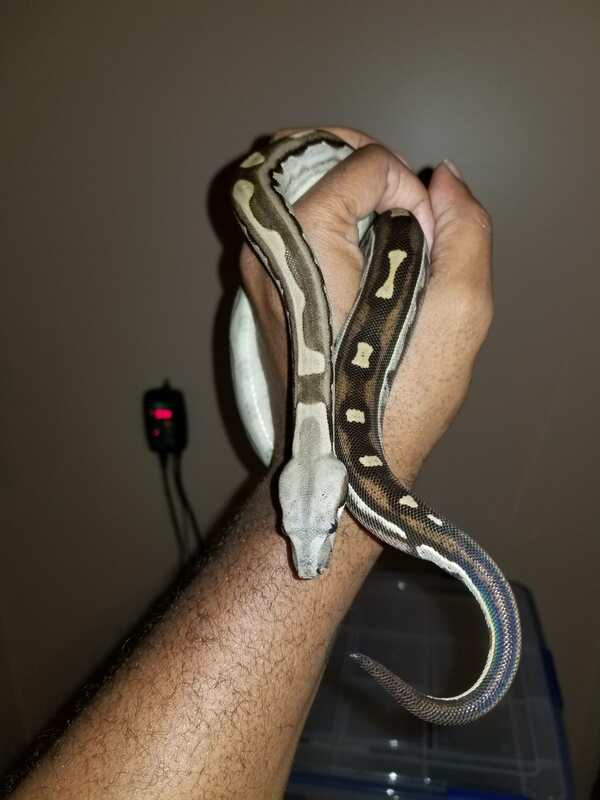 From what I've read about BCO (I haven no personal experience) and seen with other Boas, she will probably chill out pretty fast with proper feeding and handling. She's such a little thing and knows it right now. No nearly as potentially harmful, but Solana was the same way. Solana is my scaleless sun glow motley corn snake. Got her at 2 months and 8G. She was a little feisty in her tank especially. Closed mouth strikes (not that it matters with a 8G corn) and tail rattling and fleeing like there was no tomorrow. She also ate when we weren't watching. 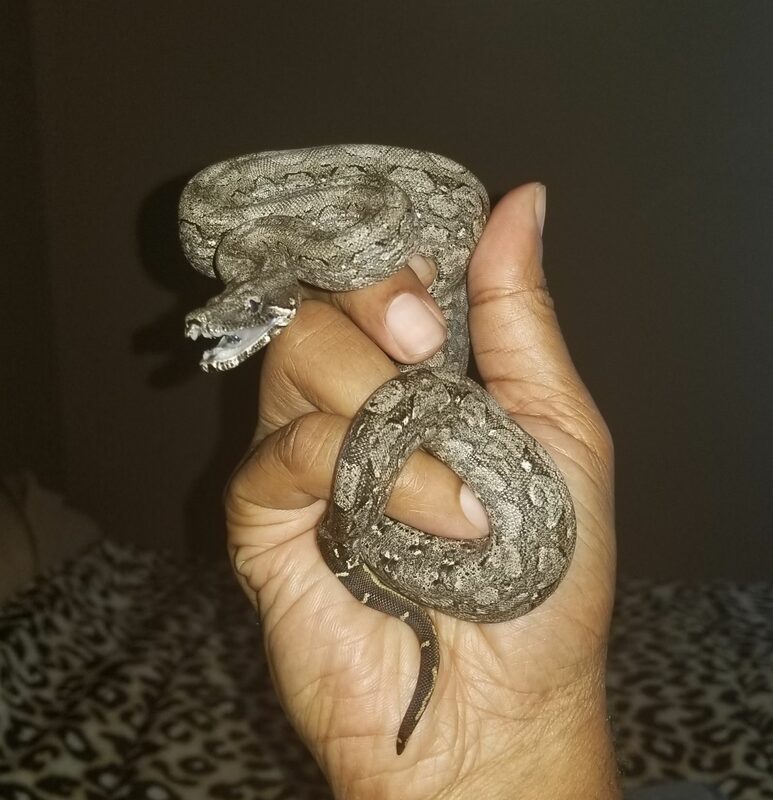 The defensiveness lasted for a week into handling and one time during her first shed with us when her eyes clouded over. 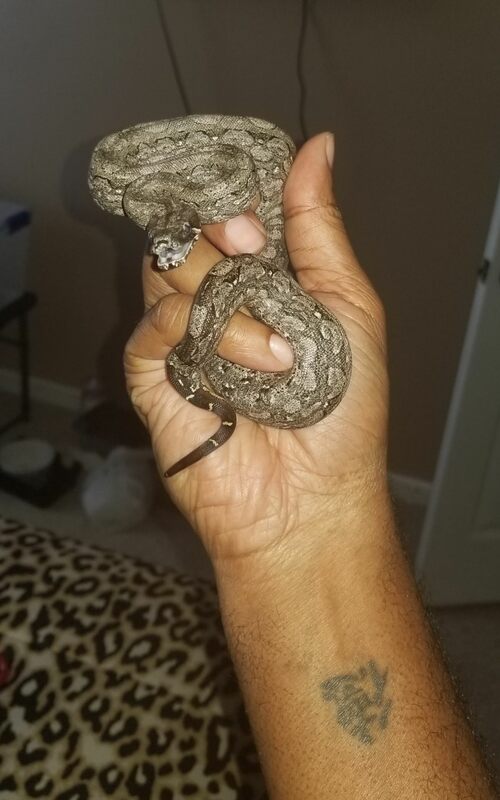 Now, 2 months later, she's 14g, has had another shed (with zero defensiveness), eats like a pig and wherever she wants, regardless of where we are; often in the open with us watching. She's actually become about the calmest corn snake I've ever met/had. She's getting calmer every day too. She's going to be a chill adult. Remember, Xena is young and you know what you are doing. As you say; build trust. I would say much more likely she chills out pretty quick than not.